Directed by Eddie Austin and Perry Shall, Waxahatchee’s new music video for “Under a Rock” catches the band and friends in a light-hearted, fun state of mind. With its party panning home-video vibe, it documents a glimpse of both behind and in front of the stage. Ivy Tripp will be officially released on April 7 via Merge Records, and Waxahatchee will be performing on Wednesday, April 8 at Union Transfer. 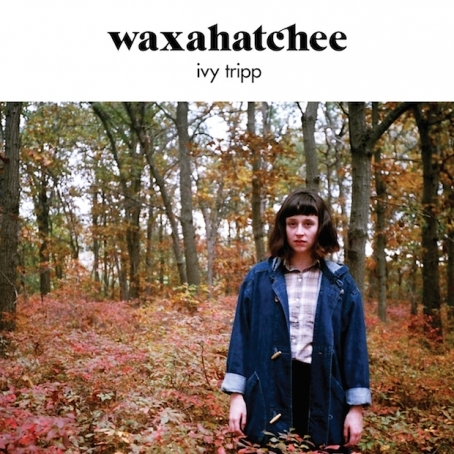 Waxahatchee’s new album Ivy Tripp, which will be released Tuesday, April 7 on Merge Records, is currently available for streaming via NPR’s First Listen. The Katie Crutchfield project continues to sonicly evolve, addressing a range of ongoing observations through engaging, private snapshot narratives that embody youthful adults that are growing restless. Steady on your feet, yet still searching. Waxahatchee is set to headline a show at Union Transfer on April 8 that also includes The Goodbye Party, Girlpool, and DJs Jenn & Liz Pelly. 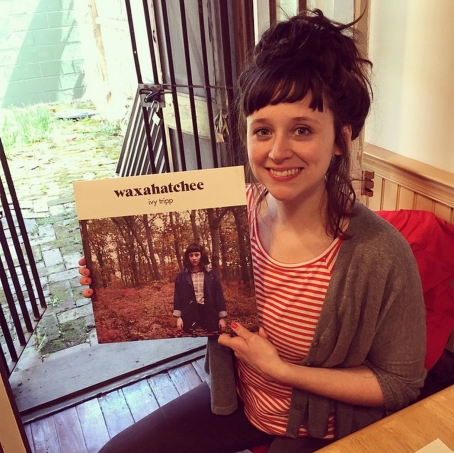 Waxahatchee, a.k.a. 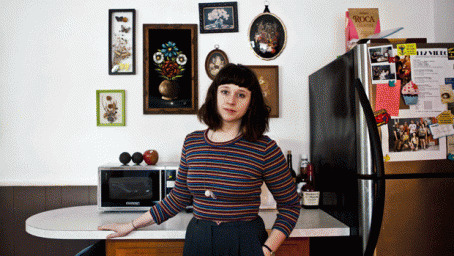 Katie Crutchfield, just shared the first single, "Air," from her upcoming third LP, which was recorded with Swearin's Kyle Gilbride and Keith Spencer. The album is entitled Ivy Tripp, and is due out April 7 via Merge Records. Crutchfield is getting set to head out on a string of European dates followed by a hefty tour of the U.S. and Canada before returning back across the pond for a longer stint. Waxahatchee will be stopping back in Philly on April 8 at Union Transfer with The Goodbye Party and Girlpool. As R5 shows begin to wind down at the First Unitarian Church, we find this weekend packed with sold-out ones. The Menzingers will get things nice and sweaty in the basement this Saturday with help from locals The Weaks, which features ex-Dangerous Ponies Evan Bernard and Chris Baglivo. And on Sunday in the Side Chapel, things will get really intimate with a doubleheader from Waxahatchee, a.k.a. Katie Crutchfield, with support from good pal and former housemate Sam Cook-Parrott, a.k.a. 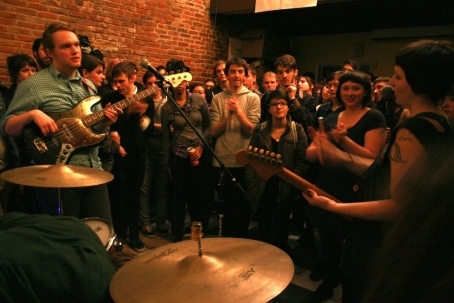 Radiator Hospital, and sis Allison Crutchfield. Hopefully you already have your tix locked down. First Unitarian Church, 2125 Chestnut St., 7:30pm (SAT)/5:30pm & 8:30pm (SUN), All Ages - Alexis V.